It’s always a good idea to get a home inspection before you buy a home — it provides a complete top-to-bottom review, so you can make a fully informed decision before purchasing a home. While a home inspection isn’t required for VA loans, a VA appraisal is. A VA appraiser evaluates the property on behalf of the lender to make sure it meets two conditions. One, that it’s worth at least what you’re agreeing to pay for it. Two, that the property meets VA and lender guidelines. If a home doesn’t pass the VA appraisal, then the loan won’t go through. 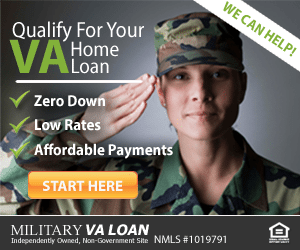 Check your VA loan eligibility. What’s the difference between a VA appraisal and a VA home inspection? A VA appraisal is intended to protect the borrower from purchasing a property that is not safe, sound, or sanitary — and to establish a fair market value of the property. It evaluates the property according to the VA’s Minimum Property Requirements (MPRs), which specifically deal with the health and safety conditions of the property. This means that a VA appraiser is specifically evaluating whether a property meets these MPR guidelines — they are not trained (or obligated) to report every potential problem or recommend repairs. 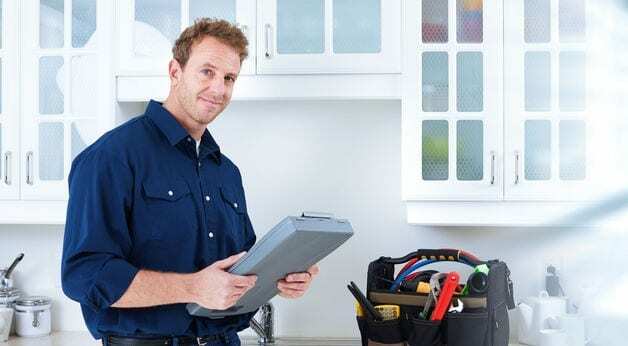 By contrast, a VA home inspection is a top-to-bottom examination of the home. 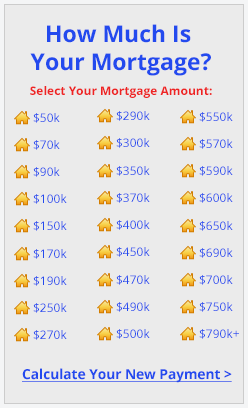 It’s not required to move forward with the mortgage process, but it’s strongly recommended. It evaluates elements of the home not covered by the VA appraiser, such as a full roof inspection and potential plumbing problems. Home structure. The construction of the home is sound, including walls, floors, foundation, roof, and ceilings. Plumbing. Identify the pipe materials and confirm that everything is up to current standards. Also, inspect toilets, showers, sinks, and faucets for leaks and other needed repairs. Home systems. These include chimney and fireplaces, water heaters, furnaces, air conditioning units, and septic systems if applicable. Roof and attic. In addition to inspecting the construction of the roof, your home inspector should check the framing, flashing and gutters, insulation, and ventilation. Electrical. Determine the type of wiring and that it’s properly grounded. Inspect ceiling fans, light fixtures, and the main electrical breaker. Appliances. Evaluate the condition of dishwashers, ranges, built-in microwaves, garbage disposals, smoke detectors, and any other relevant small appliances in the home. Also, make sure the home inspector you hire guarantees their work. That way, if you discover a problem with the home later on, you have some recourse. Many home inspection companies will pay for repairs on items they should have caught. While a home inspection is not mandatory, it’s a good idea for homebuyers to have an inspector evaluate existing and potential problems with a property, and to offer an emotionally objective assessment of the home. Ask for recommendations. Your real estate agent or loan officer will be able to offer home inspector recommendations. Also, check with family and friends who have recently purchased homes. Check with trade groups. Organizations like the American Society of Home Inspectors and the National Association of Home Inspectors have lists of local members. These organizations require certifications for membership, which helps maintain a high standard of service. Check qualifications. Licensing requirements vary from state to state. Ask your real estate agent about state requirements and make sure your home inspector meets them. Request a sample inspection report. This can tell you a lot about an inspector’s level of experience. Look to make sure the report is clear and that it includes images of any identified problems. It should include recommendations for potential homebuyers. Ask about fees. Home inspection costs can vary depending on the provider, the size of the home, and location. According to the U.S. Department of Housing and Urban Development, a home inspection commonly ranges from $300 to $500. MPRs exist to ensure that a home is safe, sanitary, and structurally sound. Also, to determine that it meets local standards for a permanent home and, if it’s a new home, that it meets local building codes and HUD requirements. A home that meets the VA MPRs may still have existing or potential problems. This is why homebuyers are strongly advised to have a home inspection, and not rely only on the VA appraisal, when making a home purchase. In fact, many VA homebuyers begin with a home inspection for an in-depth look at the property. If satisfied by the inspection, then they have the lender order a VA appraisal. The loan team will send a request to the VA who will assign an independent appraiser in your area. Some of the most basic MPRs are unlikely to be an issue, since homebuyers are unlikely to want to move forward with homes that don’t have adequate space for living, sleeping, cooking and dining, or sanitary facilities. Solar systems that heat the home or heat water must be backed up by conventional methods. The home must have electricity in all areas for lighting and equipment. The home must have a water heater, safe drinking water, and a working septic system (whether its public or private). Homes with a well (instead of community or public water) will require a water quality analysis to ensure that the water is safe to drink. Homes on a community well are required to prove that the community system can provide sufficient water for the homes served, and that water can be delivered at a reasonable cost on an ongoing basis. The roof must not leak, and must have viable life left. If there is any question about the roof, the VA underwriter may require a roof inspection (separate from a home inspection or appraisal) to determine the number of years of life left for the roof. Any crawl spaces much be accessible, clear of debris, and properly vented. Likewise, the attic must be vented. For 2- to 4-unit homes, the VA appraiser will determine whether laundry and storage can be shared between the units. Water, gas, sewer, and electricity may be shared by multiple units under the same VA loan, as long as there are separate shutoffs for each unit. The home must be accessible by foot or car from a public or private street and the access must be viable all year-round. For multi-unit properties, each unit must be accessible without trespassing through another unit or property. The property must be free of defective construction or decay. The VA appraiser will also evaluate the home for any evidence of wood-destroying insects like termites, which can cause expensive damage to the foundation. In homes built prior to 1978, it’s likely the house includes lead-based paint. The VA appraiser will likely request paint repairs, particularly for any chipping or peeling (both of which can present a lead-poisoning hazard). A VA appraiser will also evaluate the home’s geographical location, as homes located on a gas or petroleum pipeline easement may not be eligible for VA financing. There are similar restrictions for homes too close to high-voltage electric lines. Manufactured homes must meet all the MPRs for standard homes along with some specific, additional requirements. The home must be permanently affixed to a foundation, and, based on the geographical location, may require special bindings to resist hurricanes and earthquakes. Manufactured homes will likely also be required to have a permanent skirting (a continuous metal or wood enclosure around the foundation) and a vapor barrier (a continuous plastic covering over exposed earth in a crawl space).